Meet Kalie! 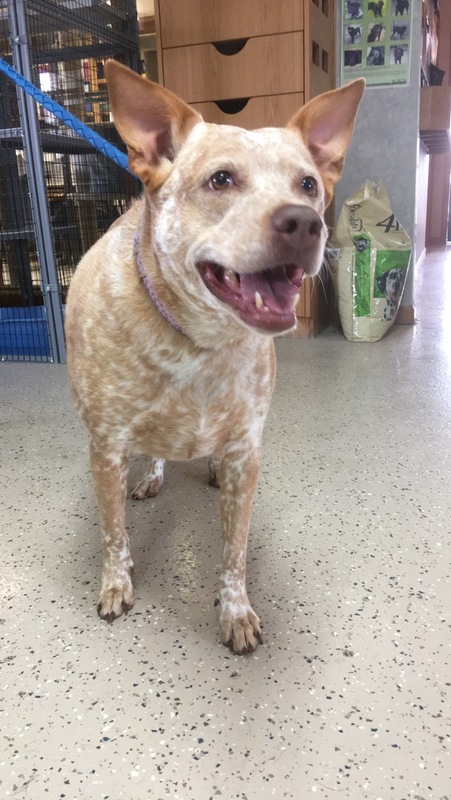 She is a 6 year old Cattle Dog mix at approximately 80 pounds. She is spayed, up to date on vaccines, Heartworm tested negative, Microchipped, current on flea and Heartworm preventative. She is about 30 pounds overweight, but her foster Dad is helping Kalie with eating healthier and getting more exercise. Since she has been in our adoption program Kalie has lost almost 4 pounds! Way to go girl! Everyone who meets this girl just loves her, and she loves everyone. She is good with kids and dogs, but has never been around cats. According to her foster Dad, she is a very good girl and minds instruction well. She loves water. Part of her exercise routine is daily walking, followed by playing with the water hose. We do not know Kalie’s entire history, but from what we have gathered and from what has been told to us; Kalie does have a mild form of separation anxiety. She does not like to be left alone, but when she is left alone she is not destructive at all. 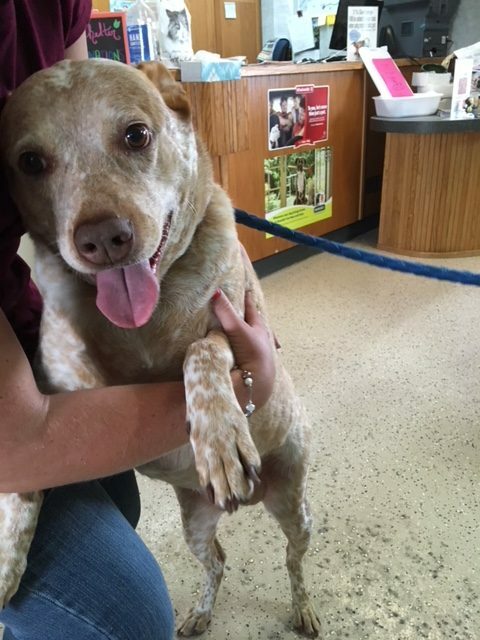 She could eventually come to terms and realize that her new owners will not leave her. 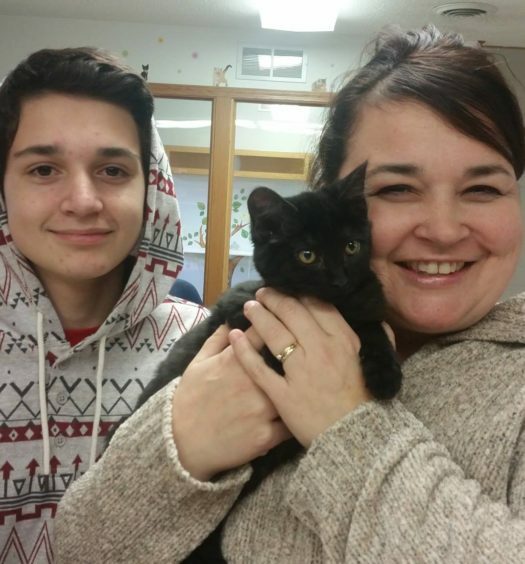 Whoever adopts this girl will have to continue with helping Kalie get to a healthier weight. And she can be adventurous as long as she is with the people that she loves. 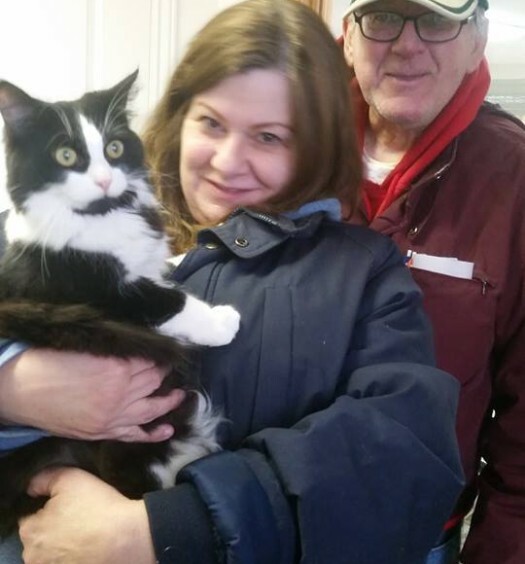 Obi found his purrfect home!